Over the course of 3-days you'll learn how a Grammy-nominated producer/engineer approaches a dance session from start to finish, from zero plugins to a fully mixed and mastered track ready for release. This is an interactive workshop where you can ask questions through the live chat and pureMix's live stream host Ben Lindell will ask Luca on your behalf. What makes this more than just a weekend-long workshop is the follow-up live Q&A! Take a couple weeks to apply what you learn from Luca and then come back, share your experiences and ask any follow-up questions that you come up with after the masterclass. Plus as a bonus, send in one of your mixes to be reviewed by Luca! Get inspired and get techniques to help you achieve the sounds you hear in your head and in the clubs. Luca Pretolesi is the top EDM mixing & mastering engineer. 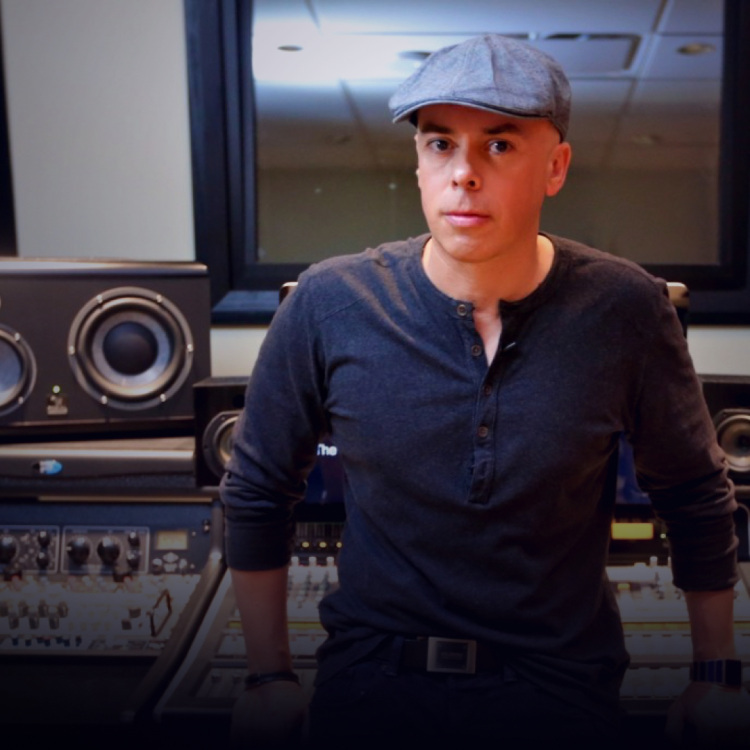 Learn how to mix dance music from a PRO. If you are not able to attend one of those 3 day's don't worry. The live stream will be available for you to watch, as many times as you want, until December 5th. Replay and rewatch the masterclass as much as you want until December 5th. Review the entire corse and find tips you may have missed during the live event. Ask questions and get answers on the spot. Using the live chat, pureMix.net host Ben Lindell will ask and answer questions the entire time. Download the stems used in the workshop. Practice your new skills and learn using pro level material. A Studio DMI & pureMix.net Masterclass certificate of completion. “I was hitting a ceiling in mixing and mastering and this workshop just provided all the insights I needed. Can't say how much this workshop is valuable to me to reach the next level in my productions! "Overall, great experience! Thanks for organizing such an informative workshop!" "I am amazed and truly thank you for putting out a product like this to clarify the little things and big things that sometimes cause problems in regular day to day operations." "Great course, really accelerated & focused my knowledge of mixdowns & mastering both creatively & technically." Luca stands out among a sea of electronic engineers with his unique hybrid set-up, mixing old and new technology for an end result like no other. In place of a traditional mixing studio, he has created a mix of equipment including computer plugins, and custom made hardware, EQ’s and compressors, and high-end mastering gear. This combination of analog and digital parts allows him to add his touch to any project of any style as he has the best of both technological worlds at his fingertips. As EDM continues to infiltrate more genres, Luca desires to bring his specialty to the table. From hip-hop to pop, and the continued spread of electronic dance music, he wants to extend his skills to any artist who wants a dynamic track with flair that simply sounds amazing. Yes, mixing, mastering and sound engineering is technical but it is also an art – and Luca Pretolesi is the modern day Da Vinci. Luca explains how to manage the low end of a mix, combine the drums and bass and set up drum bus processing for maximum punch. Bussing, EQ, Compression, panning, M/S, automation, saturation - How do you know when to do what?? Luca explains his thought process and tricks of the trade. The key to an exciting and energizing dance track is the proper use and placement of SFX, Luca breaks down how to add and treat these sounds in your mixes. The vocals in dance music are what the audience connects to on an emotional level. Learn how to process vocal tracks so they fit perfectly into a track. How do you approach a master when you've just finished the mix? How do you approach mastering other people's mixes? Luca explains his thought process and mastering set up then walks us through a mastering demo. Let's talk about loudness standards and what tricks are up a dance music mastering engineer's sleeve to deliver the best possible sounding finished track. There's many benefits to mastering stems but there's also many considerations that a mastering engineer must keep in mind as well. Luca explains why and how stem mastering works wonders for many EDM tracks. What if I'm interested in attending the masterclass in-person? Join us in Las Vegas and hear exactly what Luca hears. Apply for a seat from Studio DMI. What's the start and end time? Each day kicks off at 1pm EST (10am PST) and should be done by 5pm EST (3pm PST). What gear will he be using? The focus is always on the techniques and thought process behind every mix decision but for those who are curious, Luca will be working primarily in the box using Presonus Studio One and a wide array of plugins. For mastering he will use and explain his analog chain and why it's essential to his current process but also demonstrate how to master in-the-box. What plugins will Luca be using? He'll be using a variety of plugins from Waves, UAD, Fabfilter, Izotope, Slate, etc. Keep in mind it's not about the settings, it's about the theory and techniques he uses that matter most. What if I can't make all 3 days? You'll be able to access the replay until December 5th to catch up on everything you missed. What sort of feedback will I receive on my mix? Luca will listen 1 song from every student and share his honest opinions and feedback. He'll point out both the good and the bad then offer you tips and tricks that can improve the mix and all of your mixes in the future. How long will I have access to the live stream replay? This masterclass is LIVE. Being able to participate during the sessions, asking questions and giving feedback is half the value of these workshops. But in case you miss anything, the live stream will be available for replay until December 5th. We also encourage students to watch it again to help absorb more material the 2nd time around. When & where is the follow-up Q&A session? The follow-up Q&A will be December 5th at 6pm EST/ 3pm PST and you'll be sent a link to the viewing page a few days before.